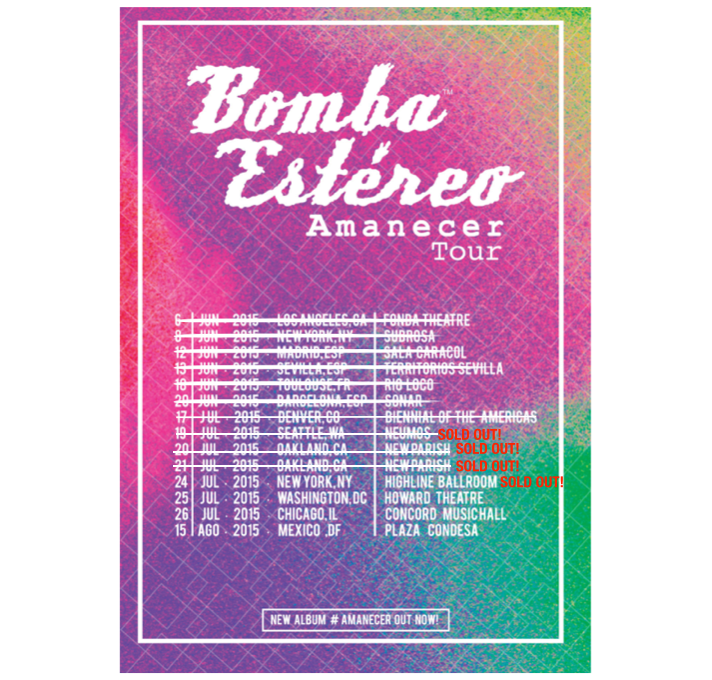 Listen up, people: Bomba Estéreo‘s concerts in Seattle, Oakland and New York City were all SOLD OUT. They only have a few concerts left on their “Amanecer” tour, which includes this Sunday’s performance in Chicago at Concord Music Hall so basically this post is just a friendly reminder that there are only a few tickets left so get to it. Buy them here, here and here. I mean, I can’t make it any easier than that. And, yes, I’m going to go there – remember getting stuck outside the last time they came and you thought you’d get tickets at the door and instead you ended up angry, cursing and crying outside? Oy. It wasn’t pretty, let me tell you. Y’all should be thrilled I didn’t take photos, but, this time I just might. Ha! Don’t let it happen to you again, ey! I will make fun of you for procrastinating. This Sunday’s show is even more bombastic than usual because the openers include ESSO Afrojam Funkbeat and Mitu. 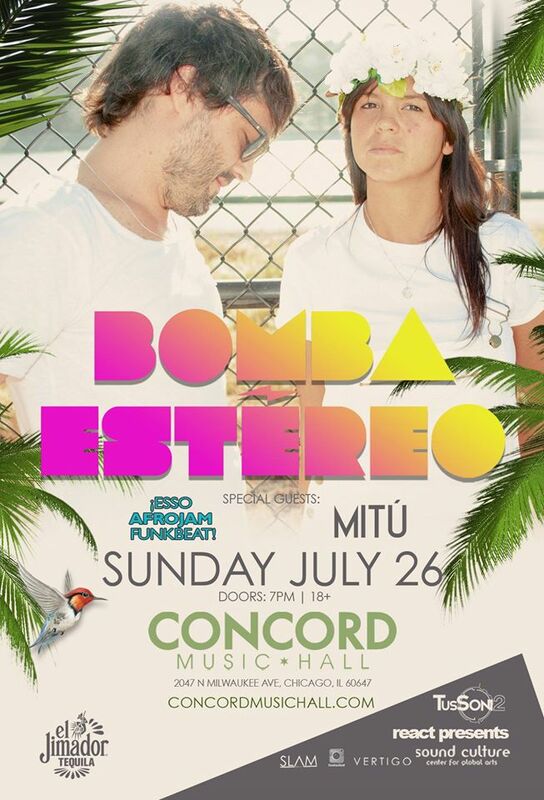 Check out my interview with Bomba Estéreo here.